She married the late Doug Upchurch May 4, 1974, and became a licensed real estate agent in 1977. In 1978, Jones & Upchurch, Inc., Real Estate Agency came into being with husband, Doug Upchurch, as the broker and Andrea Jones Upchurch as his right hand! Upon Doug’s passing in May, 2009 Andrea became the owner and broker of Jones & Upchurch, Inc.
Andrea has served as the President of the Vicksburg-Warren County Board of Realtors® twice, was first Vice President twice and on the Board of Directors from 1985 until 2000. She has also served as board secretary and on various board committees in recent years. Andrea has been a million or multi-million dollar producer since the award's inception. She achieved the prestigious "TOP PRODUCER AWARD" which signifies listing and selling the most real estate in the Vicksburg-Warren County Board of Realtors for the year 2003 and then again in the year 2004 when ranking according to top production ceased. Now every agent who sells over $2,000,000 is a “Top Producer”, which Andrea achieves every year. 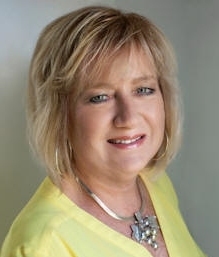 Andrea received the honor of being named Realtor® of the Year for 2013 and again in 2015. She upholds the Realtor's® Code of Ethics and operates in a Christian manner according to the Golden Rule. It has been and will continue to be her privilege to help the citizens of Vicksburg and surrounding areas, including Louisiana, find the home of their dreams or sell the place they call home.